Barry and Marg’s first introduction to Wycliffe was as short-term teachers at Ukarumpa, Papua New Guinea, in 1981 - 82. It was there that they saw the impact of Bible translation on small ‘forgotten’ communities and the opportunities to serve these communities through adult literacy. From 1985 - 99 they lived in the Northern Territory. They worked initially with the Kriol translation project as literacy specialists, encouraging the use of the Kriol Scriptures in the indigenous church then Barry served as Director of the indigenous field work for ten years. Eight years in Brisbane followed, working across the Pacific in a training role as well as supporting translators working in remote Pacific islands. 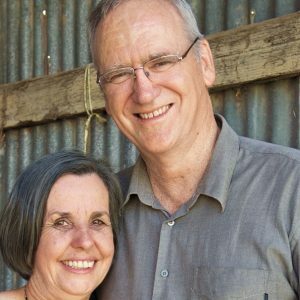 In 2007 Barry was appointed CEO of Wycliffe Australia and continues in that role at the Wycliffe National Centre in Melbourne. Marg coordinates Wycliffe’s application process as well as an English Immersion Experience each year for key staff of Wycliffe partners in Asia and the Pacific. After more than 30 years with Wycliffe they remain passionate about Bible translation.